4 years in a row? We’ve got to be doing something right! Hello all, it’s the middle of Cyber Monday. Our phones are ringing off the hook. We’ve had the lines lit up all morning and we’re actually truly just getting started. I’m in love with it and Mission Repair is rocking! Amidst all the activity, I was informed today that we have done it again. 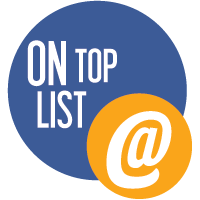 The Mission Repair website has won the GOLD AWARD (top honors) on the independent TopTenREVIEWS website for the 4th year in a row and is recognized as the Best iPhone Repair Website on the internet! You can read the independent review here! We made top honors in all categories! In fact we made top honors among ALL OTHER REPAIR WEBSITES on the internet. The great part about this review is that we didn’t do anything special to persuade it – we do all of these things well every day, for every customer. We can talk about ourselves all day long but it’s these kind of reviews that are our real report card. . .
As I write this blog the phones lines continue to stack up. I’m going to assist with a few calls maybe it’s you on the line now 😉 Please hold, I’ll be right there.